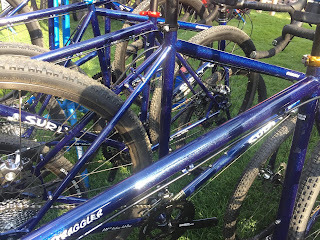 Century Cycles Blog: What's new at Surly Bikes? Two weeks ago, I had the pleasure of once again attending SaddleDrive, the annual event held by Quality Bicycle Products for their top customers to check out the latest products, test-ride new bikes, and hob-nob with the company's top (and bottom) brass. QBP is one of the largest bike parts and accessories distributors in the country, and they are also parent company of Surly Bikes, Salsa Cycles, and a number of other well-known brands. I started the afternoon on Wednesday, August 2 with my assigned time to demo the latest from Surly. 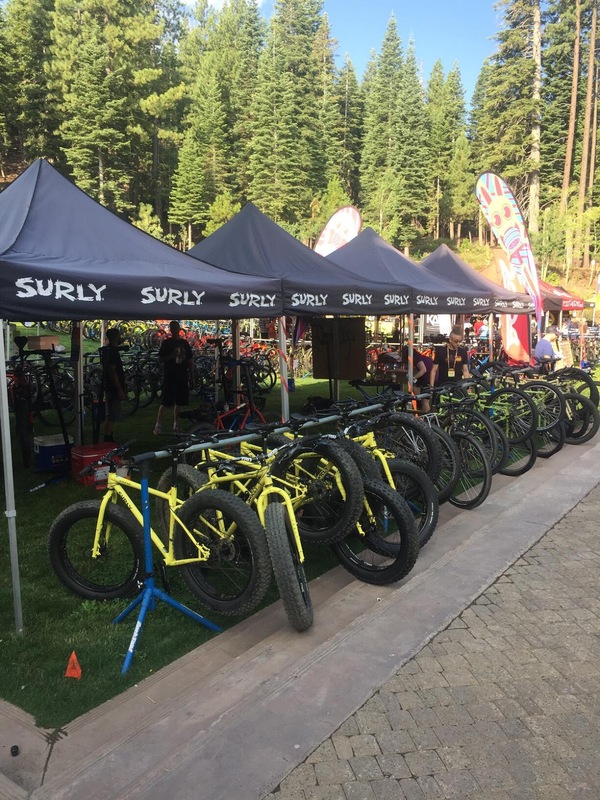 As usual, there are a few things new, and a few things un-changed from last year's Surly Bikes lineup. So, enough of the suspense; what's new and hot off the Surly press? First, some bad news for old-school road bike fans: the Surly Pacer will be relegated to the dustbin of history soon, so get it while you can! The Surly Straggler will be available in a sweet new Sparkly Blue color! I took an extended test-ride on the newly-redesigned Surly ECR. The ECR is not a bike that we sold a ton of; to remind you, it was the second bike in the world to feature the new (well, new as of 2012) 29+ wheel platform. 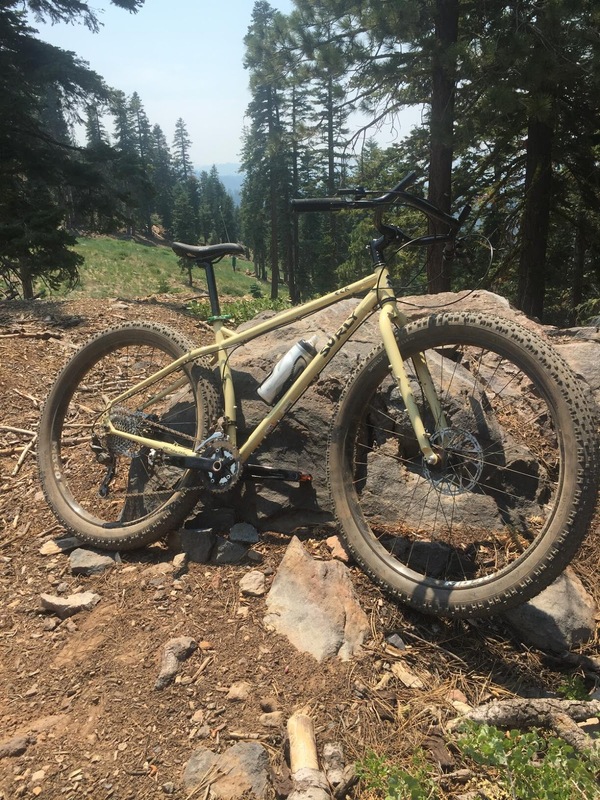 While the Krampus was designed for pure mountain biking style gettin' rad, the ECR is meant for touring all over the world through all conditions, good and bad. For 2018, the ECR gets a few tweaks to the frame geometry, plus the same Gnot Boost rear spacing shared with the Ogre and Troll. The biggest change is Surly is now choosing wheel sizes that are better suited to each frame size. So, if you ride an Extra-Small or Small frame, you get 27.5+ wheels. If you ride a Large or Extra-Large frame, you get 29+ wheels. If you ride a Medium frame, you get to choose either 27.5+ or 29+ wheels. Now, you may be thinking, if I get a Medium frame, then I use BOTH 29+ and 27.5+ wheels! Sorry, it doesn't work that way; the ECR Medium 27.5+ is NOT the same as the ECR Medium 29+ frame. The benefits these changes bring is that all riders can get the benefits of 3-inch wide "plus" tires, but in a diameter that provides the best ride and handling characteristics for the frame size. 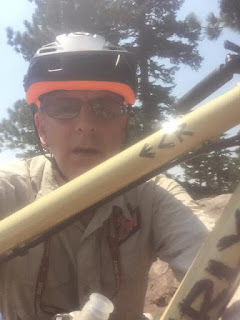 The first leg of my extended test-ride of the ECR was a chairlift ride up to the middle of the mountain at Northstar California Resort. 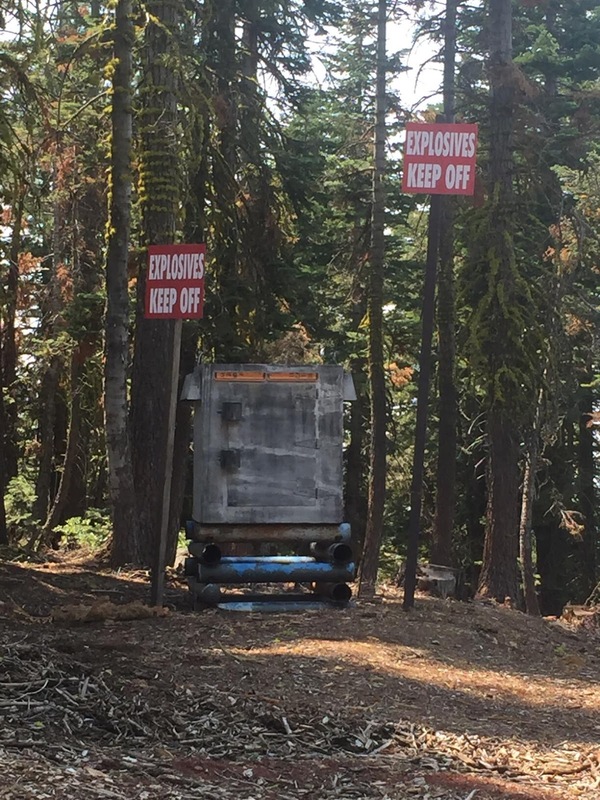 Then, I took the gravel road that continues up to the top of the mountain, which climbed about 1,200 feet over only about 3 miles. 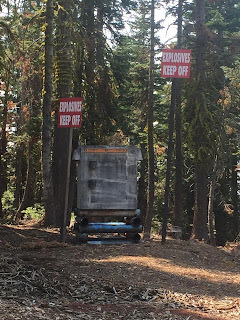 Calling this a road is a bit of a stretch, as these mountain roads are normally meant for snowmobile, snowcat, or 4-wheeler ATV traffic. 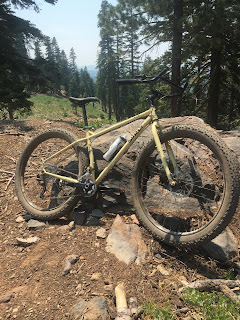 I will admit the journey did involve a bit of walking in the steepest parts, but for the most part, the 29x3.0 Surly Knard tires hooked me up the whole way. The ride back downhill made all the cranking up worthwhile. My downhill riding skills were not really up to the task, but the Avid BB7 mechanical disc brakes were up to the task of keeping the bike in check. 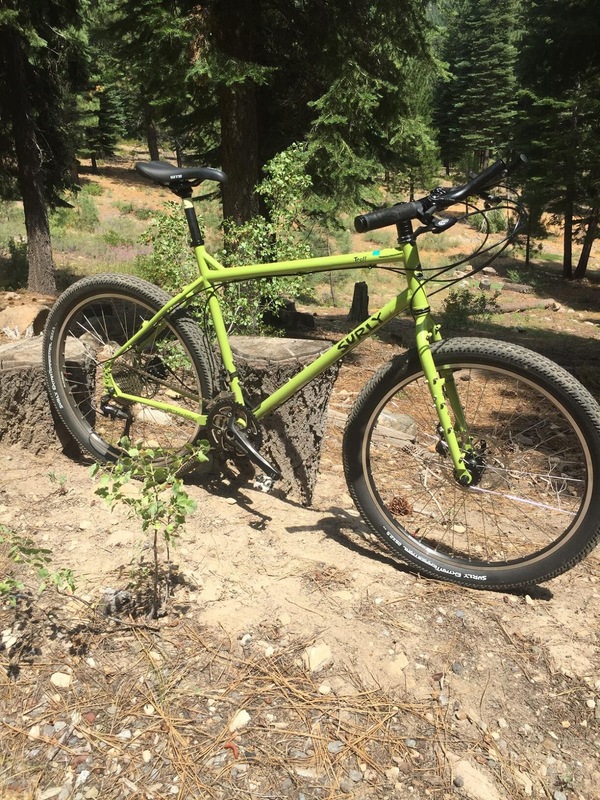 While the ECR is not as good at gettin' rad as the Krampus, the design does allow for the fact that your worldwide adventures may end up involving some singletrack. Click here for Surly's take on all the new ECR updates. If you happen to already have a Jones Loop handlebar, this bag will fit in there, too. There were a couple of other new things, but I was sworn to secrecy and am not able to tell you about them yet, but stay tuned. But I want to conclude with some thoughts that Surly gave us at their indoctrination/propaganda/Kool-Aid drinking seminar. The three core philosophies that Surly puts into their bikes, and all of their products, are: Utility, Versatility, and Durability. Their bikes and parts are useful, and are meant to be used, not hung in a museum. 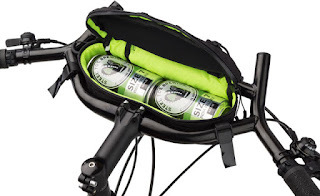 They can be used in many different ways; there are niches that each product is designed to fill, but there is LOTS of overlap, and no bike has to be pigeon-holed into a certain use. They are built to last -- they may not be the lightest bikes, but they are not the lightest for a reason - they are OVER-BUILT. 99.9% of the time, you won't need that over-builted-ness, but it's nice to know that that over-built durability is there when you need it that 0.1% of the time. 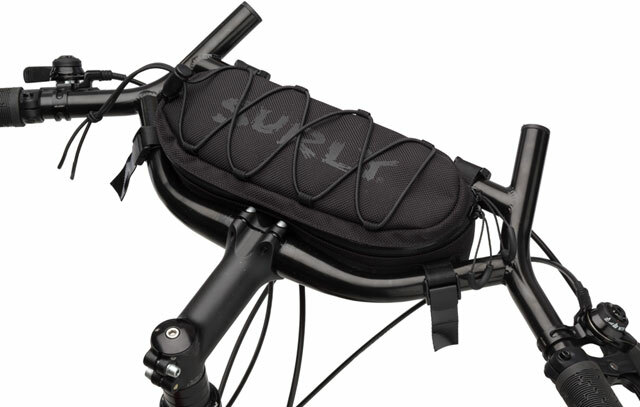 Take the humble Surly Junk Strap. They introduced the Junk Strap about 10 years ago, give or take. 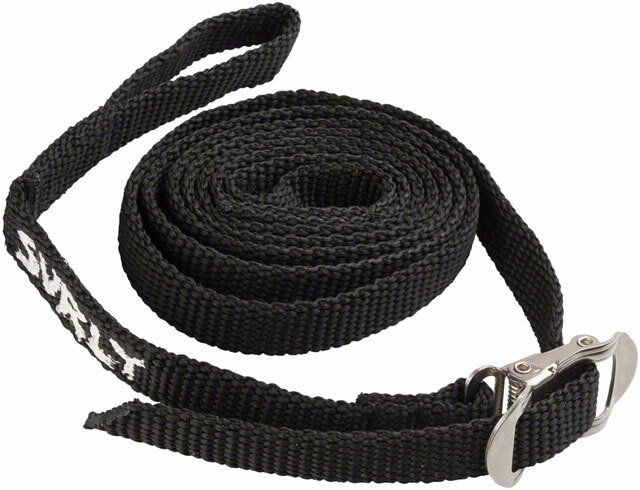 Everyone noticed that it was basically just a pedal toe strap made a little longer -- who else but Surly would be audacious enough to slap their logo on a decades-old product, give it a cute name, and sell it as a new product? But the idea of using them to secure your junk to your bike caught on, and the world of junk-hauling was changed forever. Fast-forward a few more years, and Surly updated the Junk Strap to the Loop Junk Strap. Now, the loops on the ends make the Junk Strap even easier to attach to you cargo rack or whatever else, and have taken junk hauling to the next level. The Utility of the Loop Junk Strap is apparent to anyone who has had to strap stuff to their bike. The Versatility is evidenced by the myriads of junk you can strap with it, and the myriads of places on your bike you can strap your junk to. Durability? Check, with the woven nylon construction and stainless steel buckle. To help us prove it, Surly gave each of us one Loop Junk Strap, And, since they work best in pairs, when they weren't looking, I stole a second one. Utility, Versatility, and Durability. How many companies do you know that can show you a $10 product that embodies ALL of their philosophies?